Pear Town located in Zhongke Village, Dongshi Area was supported by government. Dongshi Area Farmers Association promoted and integrated this area with software and hardware project, including Pear Culture Museum guided-tour, tourism fruit-picking, coffee and orchid production, minshuku and Camping, climbing step, special landscape, natural forest ecology, clay art, woodcarving, lacquer art, cloth dyeing workshop…etc. 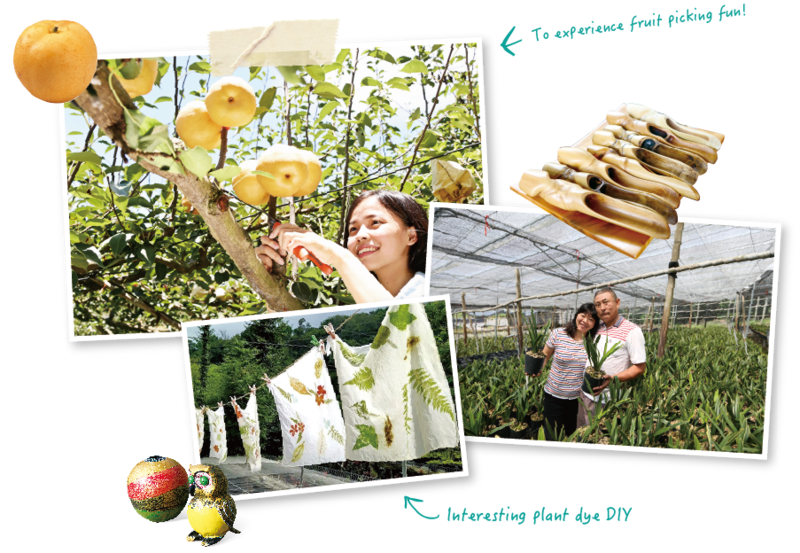 Tai Po Hakka with "dedication" in the spirit of sharing "grafting pears" results. In the Republic of China 62 years, the parent grafting pears - Mr. Zhang Rongsheng led marketing group team developed a unique "grafting pears" technology to share R & D results, the opera throughout the region, in a few short years, received a variety of high-quality pears species create high economic value of agriculture, promote local development, in order to make people understand the origin of this history with technology, in Yong Ye ecological farm construction pears Centre. 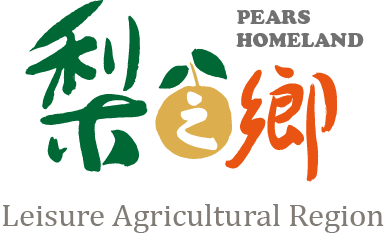 Just after the 921 earthquake potential to Dongshih intend to set up pears cultural centers, as Zhang Rong born on the ground, located in the “Yung Ye Ecological Farm” Mr. Ye Tai,Zhu , so the land contribution out, this has been the birth of pear public hall. 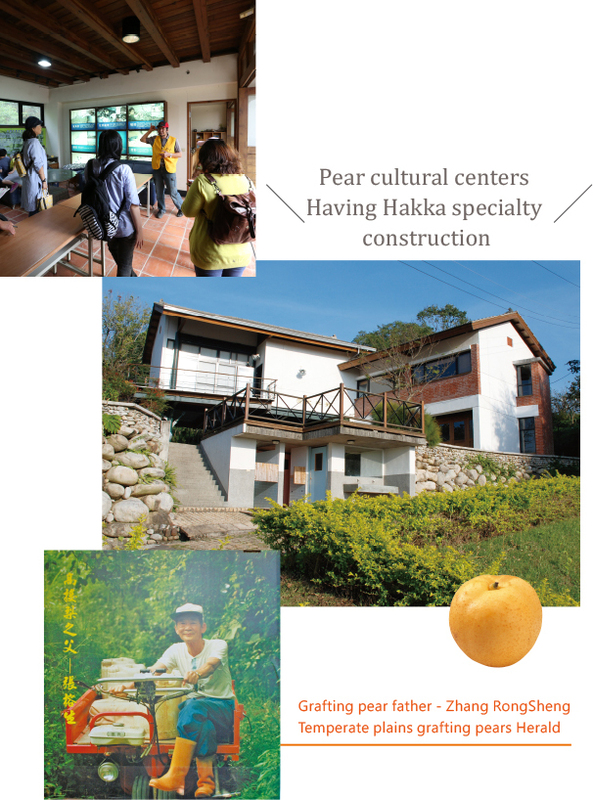 Interior contains navigation and agricultural facilities, as well as the ground staff navigation narrative stories and pears grow, let pears cultural centers of the story can continue to be passed along. Local farmers introduce ecological planting pear, guide visitors to the correct technique picking fruit, close-up experience of the fun of fruit picking, but also now pick the freshest taste sweet pears! Listen to the orchid garden tour members to explain the production process and varieties of orchids, to experience the fun of DIY, furniture finished pot can bring back meaningful souvenirs! Pear culture came to the museum, and farm produce together Hakka snacks - Ban wormwood, the skin and fried radish cake stuffing wrapped together, and then press cake group in Ban extension on a beautiful texture, after cooking it into the cauldron to complete! 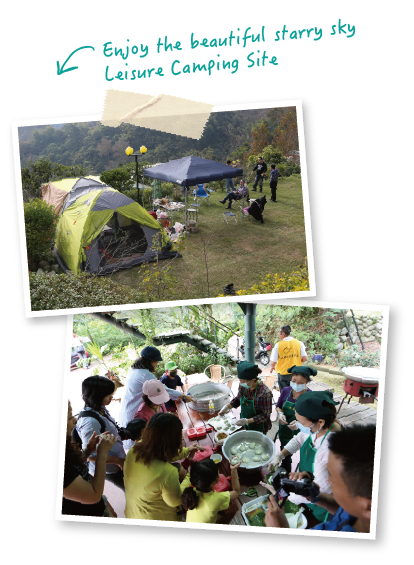 By the farmers elaborate dishes, meals are made with ground ingredients Hakka cuisine, enjoy a meal at the banquet under the stars, surrounded by coffee farmers on the ground with the sweet-scented osmanthus tea, people physically and mentally satisfied! Tour members led us to Fam, surrounded by a lot of fireflies! 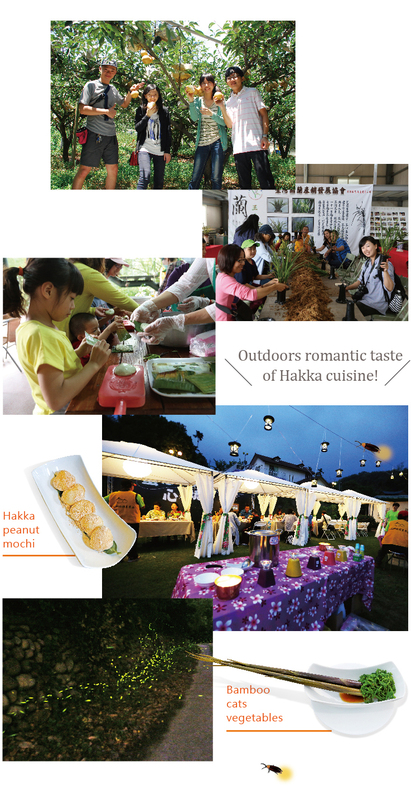 Each activity will work together with different farm, is ideal for the whole family to get to know the local culture and enjoy nature, you leave the most beautiful precious memories!